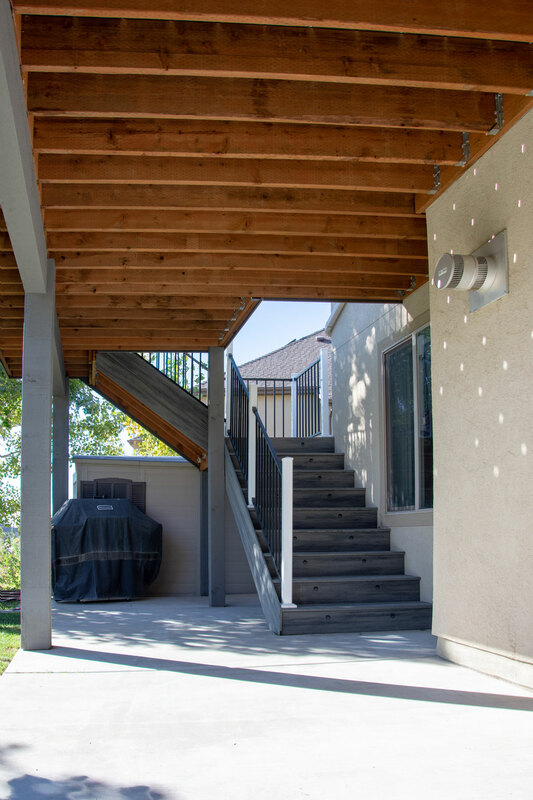 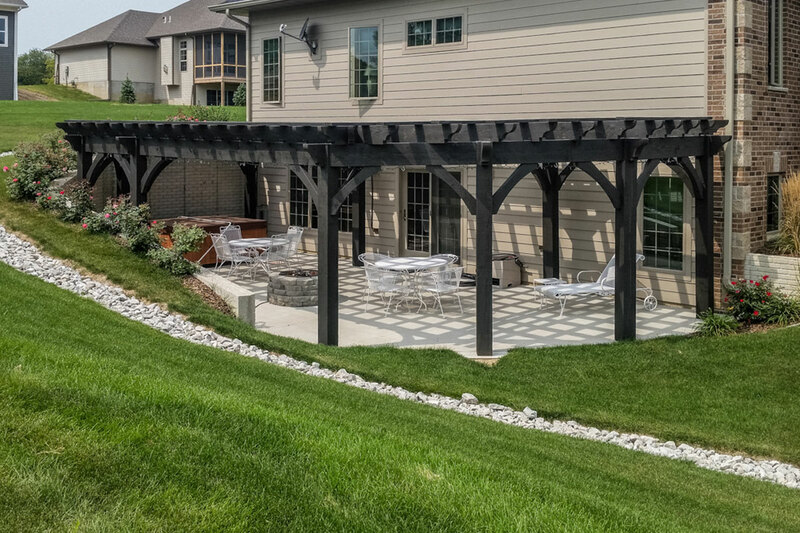 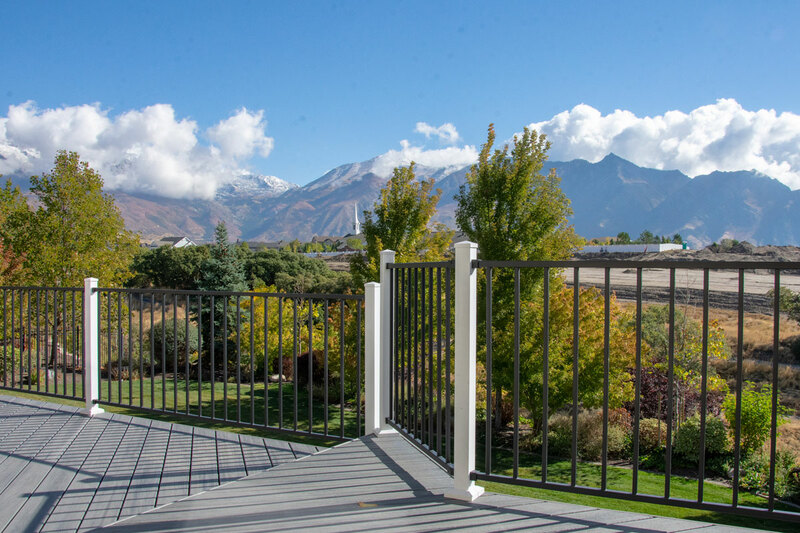 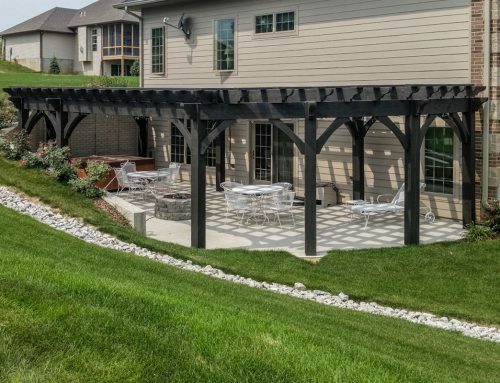 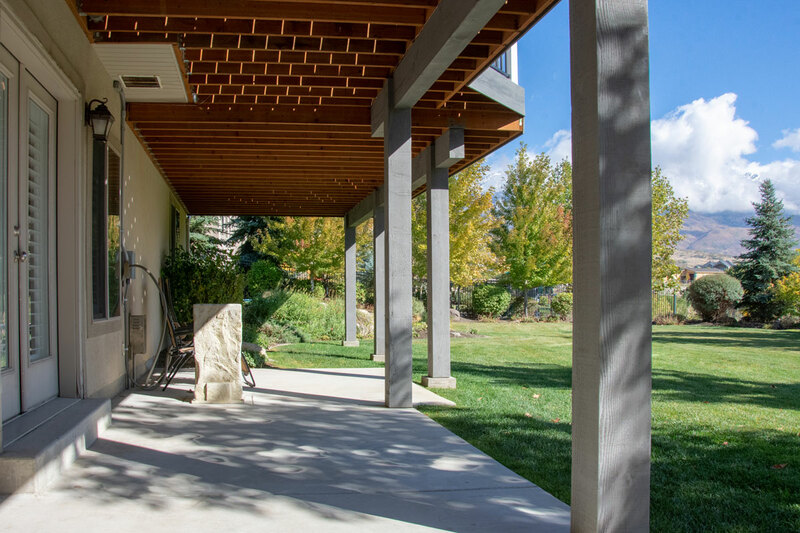 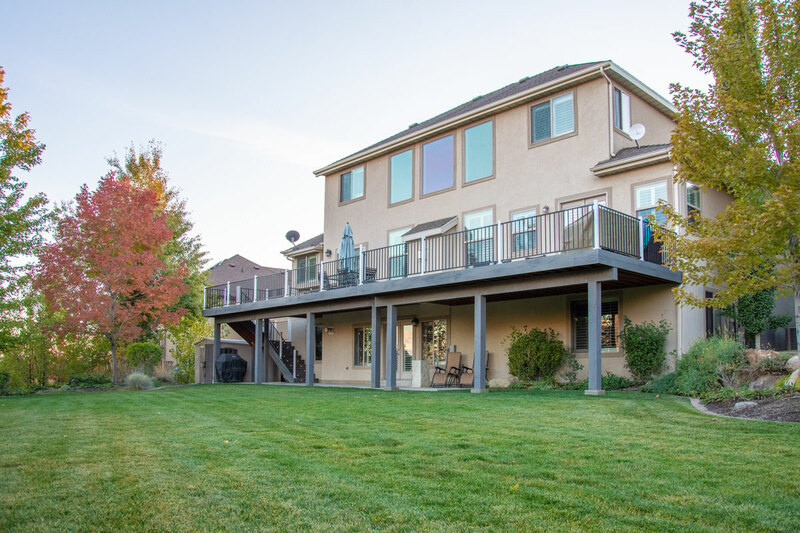 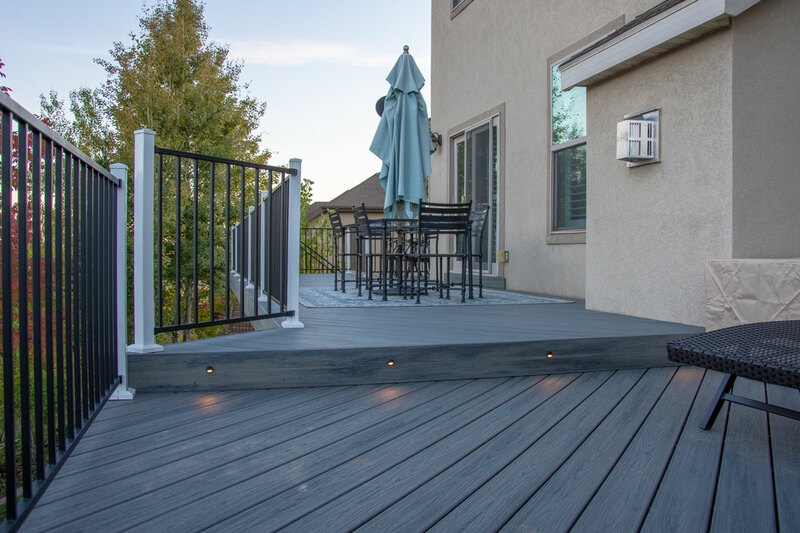 A fabulous new 8000 Series ShadeScape® deck turned this home into an outdoor getaway with the happiness of higher and lower levels for enjoyment and relaxation. 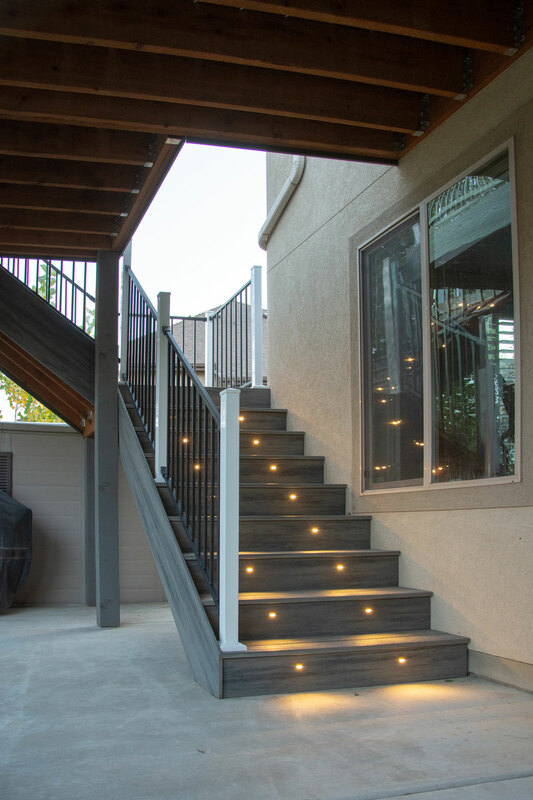 The staircase features lights arranged in a straight-line evenly spaced pattern keeps the steps interesting while showing the exact location of each step and landing area for going up and down. 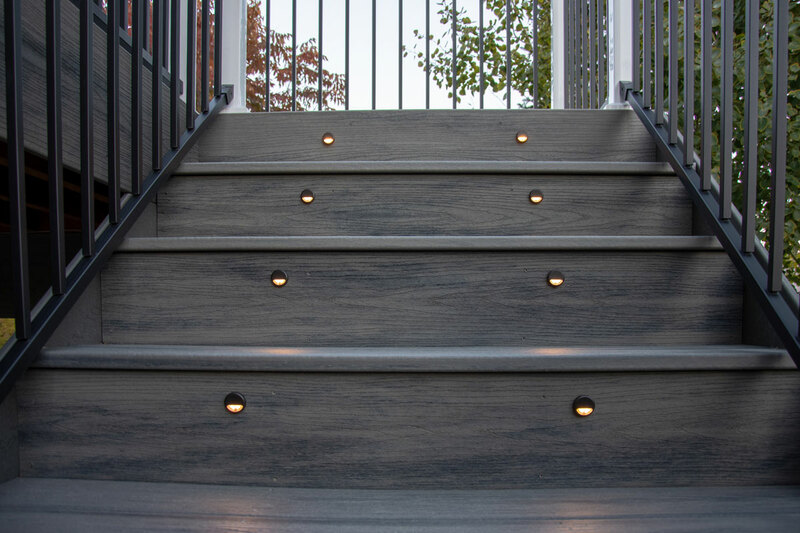 The cozy lighting definitely gives an elegantly high-tech look. 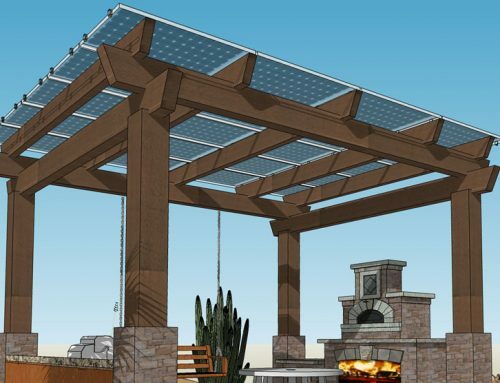 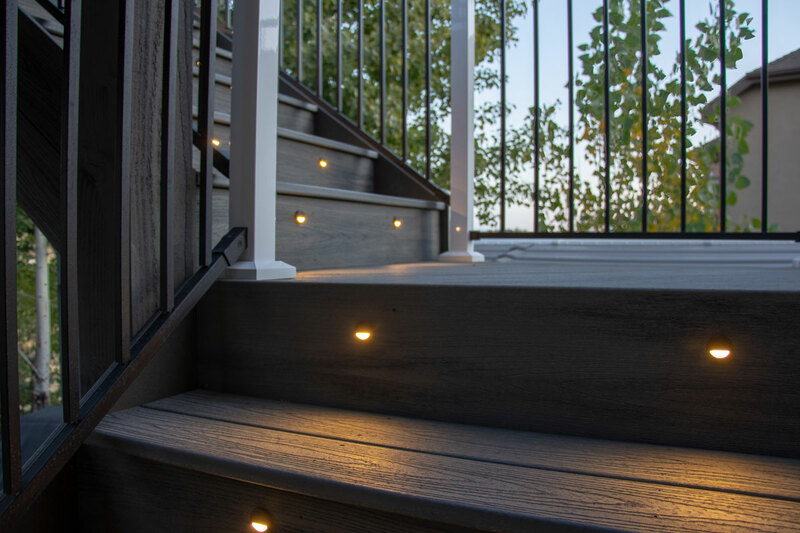 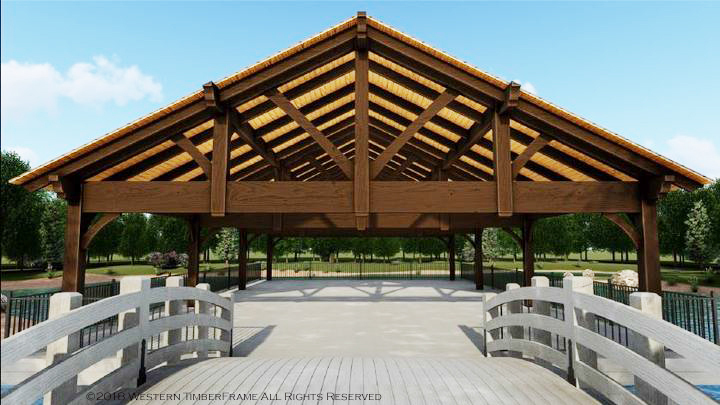 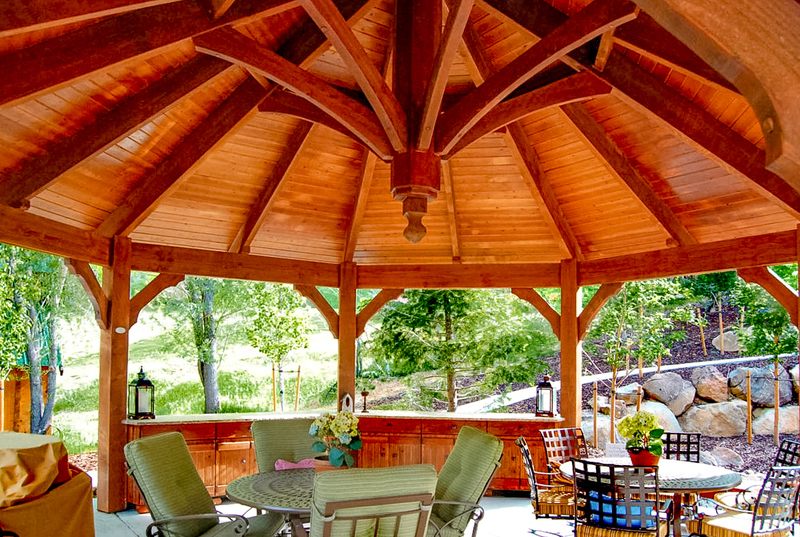 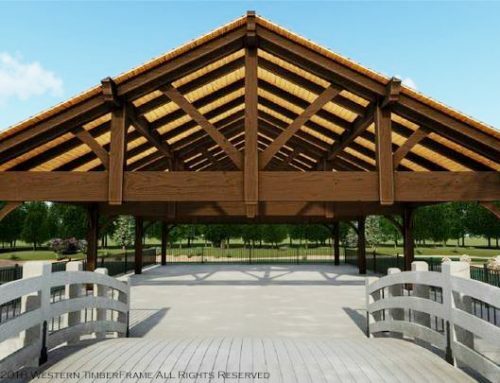 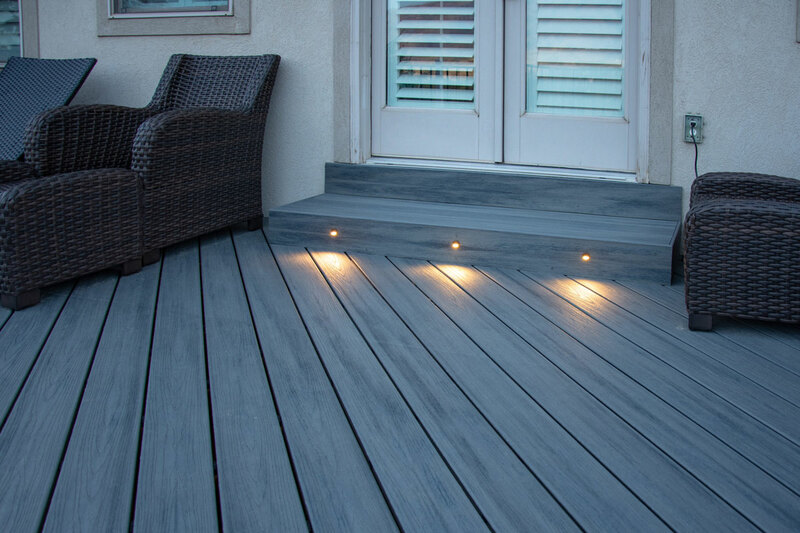 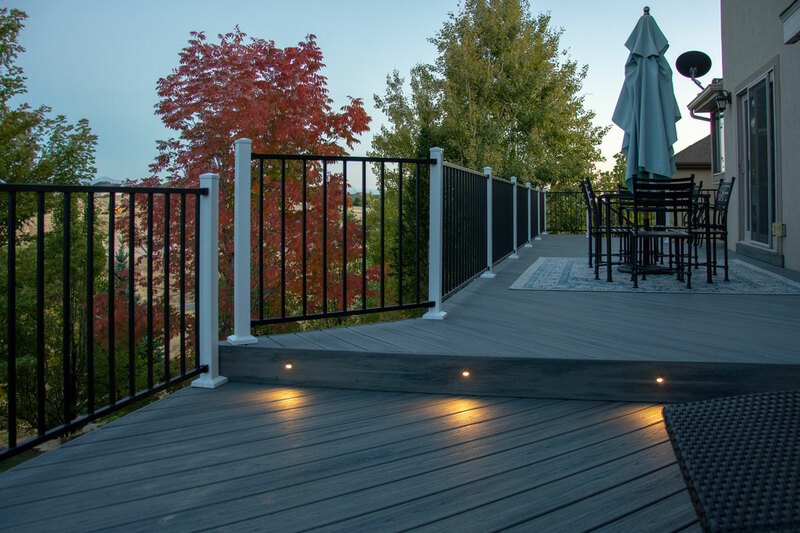 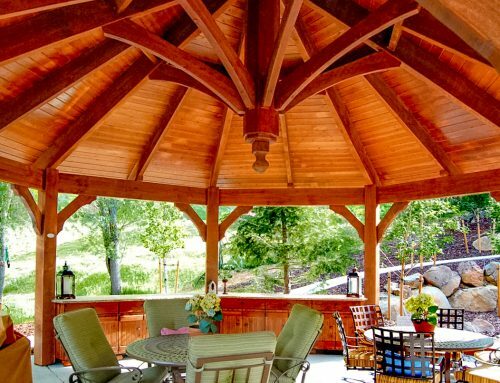 Along with the stylish sparkle of lights, illuminating walking paths and doorways add extra safety to a deck.